Congratulations! I'm delighted it's gone to a long-time Dear Reader. I know you'll really enjoy this, Jax. I'll be emailing you today to get your address. 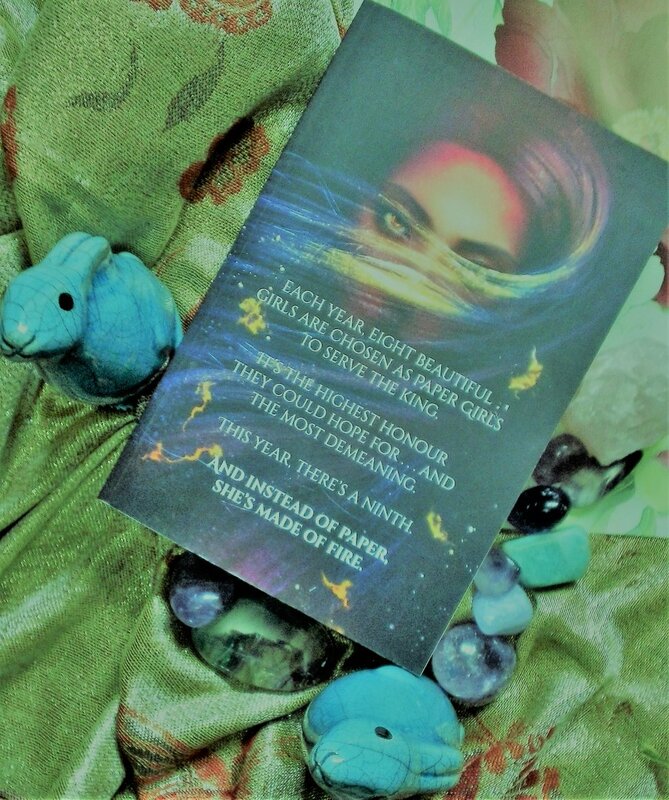 I'm currently hard at work on my revisions for Selkie Book, which is defying my usual expectations/process by vearing wildly from pretty good to a deathly vacuum of suckage every couple of pages. I keep getting stuck, thinking 'Eugh, I made a terrible mistake with this, it's AWFUL, it needs a total rewrite!' and then a paragraph later I'm happily skimming along making minor prose tweaks. I don't know if this honestly is as radically different to everything else I've written as I think it is, or if it's just the way it seems to me because I'm immersed in it. Once the edits are done the full, final version will be off to my agent and then I suppose I will find out. I *hope* to get the manuscript marked up and the edits actually inputted by the end of this month. I emphasize 'hope' there because actually, I probably have no chance in Hell of managing that - but I'm going to try! Mainly because I have two short pieces I need to start AND finish in November (one of which will hopefully be of some interest to Dear Readers) so I really want to be able to relax and concentrate on those without Selkie Book nibbling at the edges of my conscience and attention. 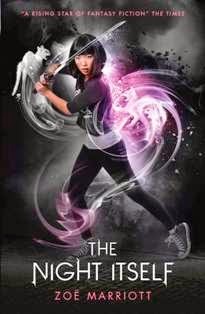 In other news, I've just finished NineFox Gambit by Yoon Ha Lee, which is one of the densest and chewiest things I've read in a while. On the surface it's hard (operatic) sci-fi, informed by the author's theoretical maths background. But on a technical level it's actually fantasy. I'm quite jealous that readers were happy to accept this as SF, and also that the author was able to get away with so little explanation of his physics defying magic stuff. I enjoyed it, but I'm not sure I'll pick up the sequels for a while. 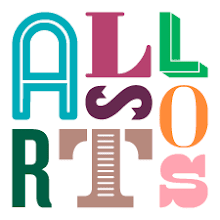 Read you later my lovelies - next week, to be precise, when I think I'm going to start posting my (failed) entries for this year's Bridport Poetry Prize, because why not? See you soon. Doesn't that sound FREAKING AMAZING??? OK, let me pretend to be a grown-up for minute and explain a bit more about this. Although we've never met in real life, I've known Natasha Ngan online for a long time - as a delightful person to exchange jokes or writing related complaints with on Twitter and as a fellow contributor to Author Allsorts. And so I've also known about this book, one way or another, for a long time. Through the #UKYA author grape-vine I knew she was working on something new - an exciting departure for her. I'd even spoken to people who'd read the manuscript and said it was something really, really special. As a result, I was excited to hear more about it from the first. 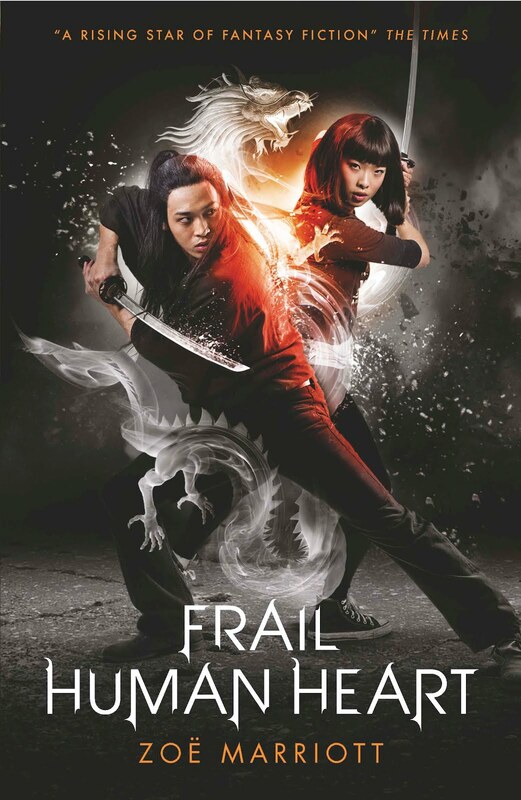 Keeping my ears open, I gradually learned that it was a high fantasy with an Asian-inspired setting. That it was supposed to be a Feminist story, and one which centred a queer romance. Talk about a list of all my favourite things! Eventually I saw the gorgeous cover. I actually thought I couldn't get much more interested at that point. But then I saw the synopsis - THAT synopsis - online and I felt shivers go right down my spine. In one of those utterly unearthly coincidences of creative zeitgeist, Natasha had written a story which echoed, almost perfectly, the tragic and bloody backstory of one of my favourite characters from my own upcoming novel The Hand, the Eye, and the Heart - which also happens to be a queer high fantasy with an Asian-inspired setting. It felt as if someone had reached into my dreams, plucked something out, and made it real. I knew I had to get my hands on this book. I can't even express to you how much I HAD TO READ IT. And with every amazing review that drifted through my Twitter timeline, my desperation grew. So I entered every online giveaway I could find (with thanks to longtime reader B&J, who alerted me to most of these) wished for both the UK and US versions on Netgalley (neither were available to request) and also emailed Hodder and Stoughton - calmly and professionally - asking for an ARC to review. And when that didn't work, I broke down and sent pleading tweets to their children's AND adult twitter accounts, offering up a virgin goat or a kidney, whichever worked for them. Just when I was starting to lose hope a lovely DM from a member of the PR team arrived, offering me what sounded like their very last available ARC. My exultant hiss of "Yesssss!" startled many unfortunate occupants of the station Starbucks where I was waiting for my train when this message arrived. But did I care? I did not. Soon! Soon, the book would be in my grasp and I could at long last discover if this story really WAS really a fragment of my dreams which had gotten lose and become a book. Readers, the ARC arrived on Saturday in the early afternoon. Readers, before nine pm that evening, I had finished it. Readers, despite its main storyline bearing an uncanny resemblance to the one in my head it was not really a fragment of my dreams which had gotten lose and become a book. It was something much rarer and more wonderful. There are books that authors enjoy - love - or admire. Lots of those. But for most authors there's another category, which is the most special of all: books we genuinely wish *we* had written. Girls of Paper & Fire is one of these. 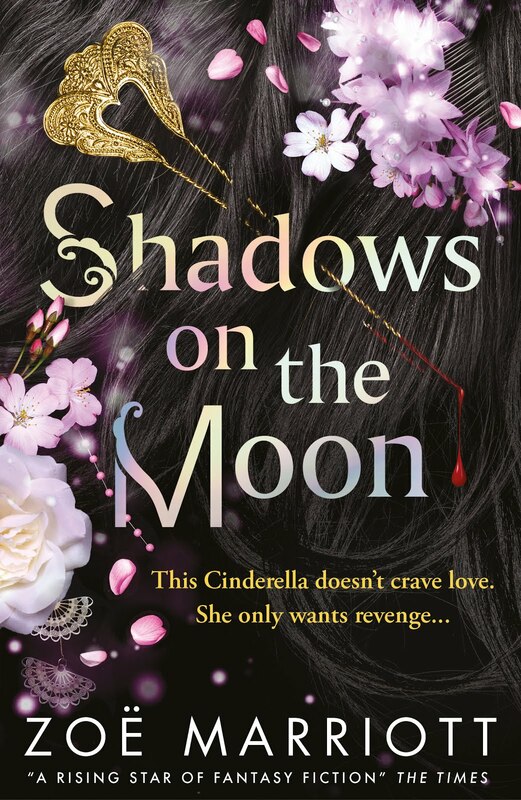 Longtime Dear Readers know that my favourite book out of everything I've ever written is Shadows on the Moon. Right? Well, this book is the book I wanted Shadows on the Moon to be. The book it could have been if I'd been just a bit better at my craft, a bit braver in my choices, a crucial shade more open to possibilities, back in 2009 when that story was fighting its way out of me. 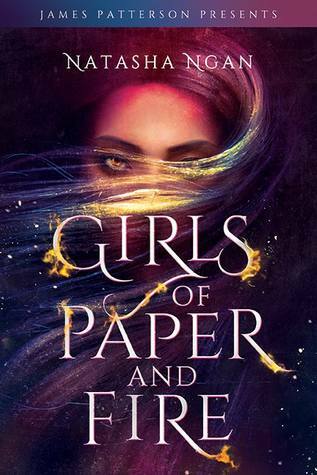 Girls of Paper & Fire fulfils every craving for that perfect book I couldn't quite achieve. It is brutal and lyrical, beautiful and savage, heart-breaking and transformative. I loved it. It's hard to talk about books you connect with this much. There's a strong impulse to ramble on about the details. 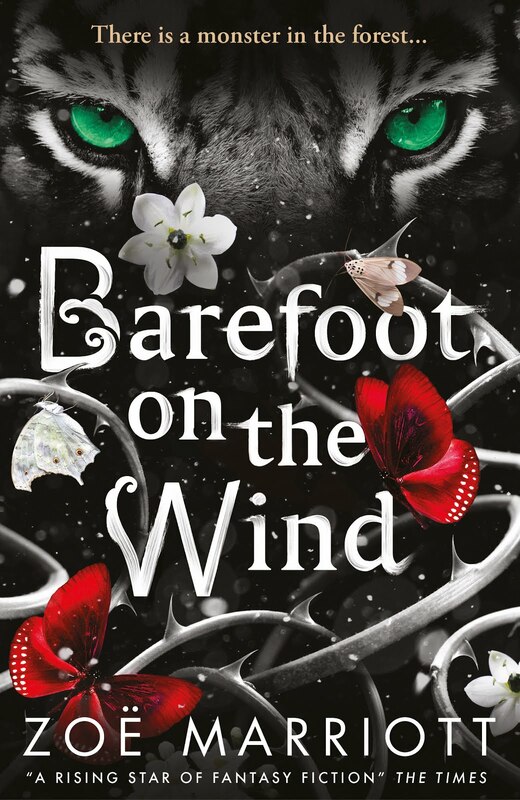 Everything from craft level stuff - gorgeous, deftly woven prose - or big picture stuff - tactile, sensory world-building with the perfect level of detail and exposition - or the characters - flawed, evolving, both broken and beautiful. But ultimately, it's not really about that. What it comes down to is something intangible. Some connection between you and the text that opens a door in your imagination you never knew was there, but which afterwards can never be fully closed again. Look guys, if you liked any of my books, go get this. If you're a fan of Naomi Novik, or Leigh Bardugo, or Laini Taylor - same. It's just great. You won't regret it. And then you can come and talk to me about it and we'll squee together and mourn just how long it's going to be until the sequel comes out. 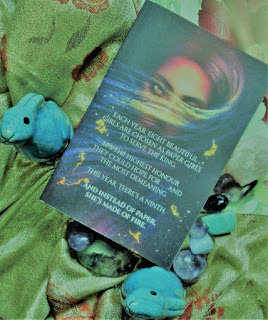 And to increase the chances of your getting to read the book, I'm going to bite the bullet and give away this very special, stained-with-my-own-tears ARC (fully intending to save up to buy it when it comes out, of course). It's going to be a wrench, since I kind of want to sleep with it under my pillow forever more, but that's how much I love you guys. The entry form is below and it's as simple as I can make it. You get one point for RTing this post and the competition to Twitter (and you can do that once each day if you like) and one point for commenting. The giveaway is open to anyone in UK and Europe - but not the US. Sorry USians, the postage is unreal and I'm trying to save up for Christmas presents. The competition will run until next Wednesday - the 17th of October - and I'll announce the winner on Thursday and send the book out on Friday. Which means one of the best books you're ever likely to read can be in your eager little hands by next weekend. You might want to get on that :) Read you later, muffins!